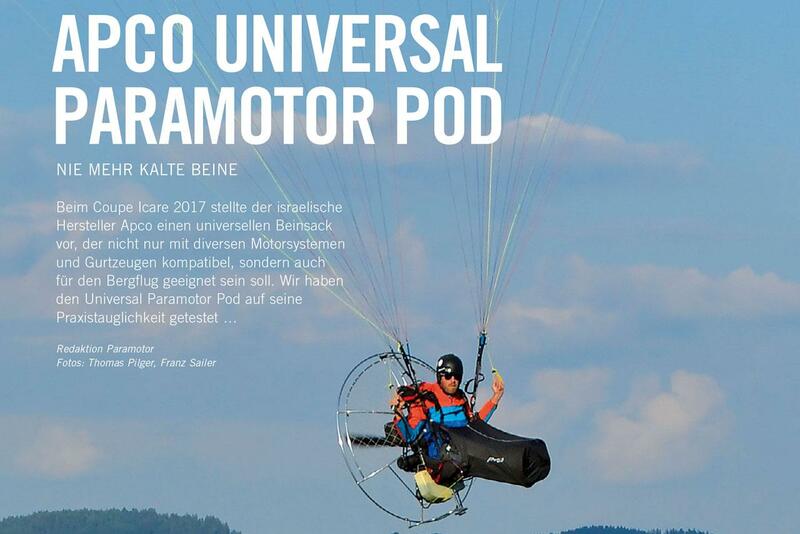 Universal Paramotor Pod - Apco Aviation Ltd. 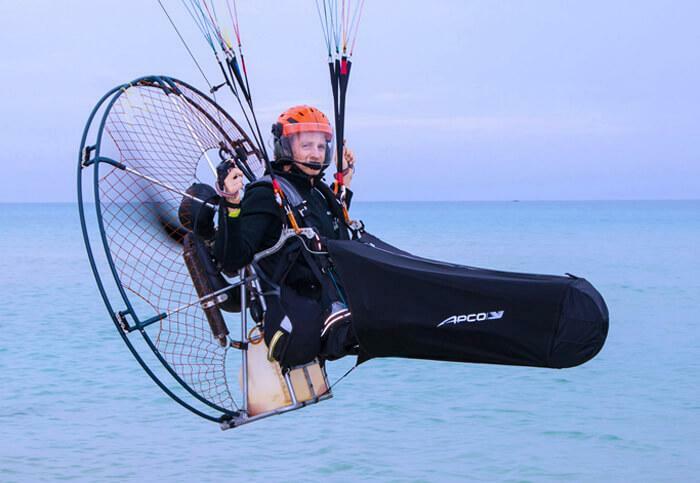 The Pod can also be attached to free flying / Paragliding harnesses following the same instruction and precautions detailed in the user manual. 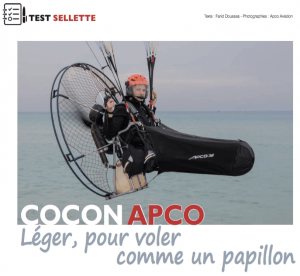 Question: How it is attached to the harness? Question: What additional arrangements are required to attach the Pod? No additional parts are needed – the Pod is supplied with all the parts needed. In addition to the above mentioned buckles, there are some line loops supplied, which are attached to the base of the harness, and one (depending on the type of frame), attached to the center lower part of the frame. These Loops are in turn attached via a Kite-Knot (Larks-Head) to the supplied lines on the lower part of the Pod. A knots on these lines can be moved to adjust the length of the Pod, and once adjusted correctly, it is very easy to attache and detach these in the correct settings each time. Question: How it is made to stay secure during take-off and not interfere with front cockpit (flight deck) bag or reserve and Take-off run? There is a Magnetic attachment point on the nose of the pod, which is attached to a supplied mate that can be attached to the harness chest strap, shoulder retainer strap, or cockpit (again depending on specific configuration). This keeps the pod in a safe position for take-off, and is then easily released to enter the pod once safely off the ground. Question: How do you put the harness on? 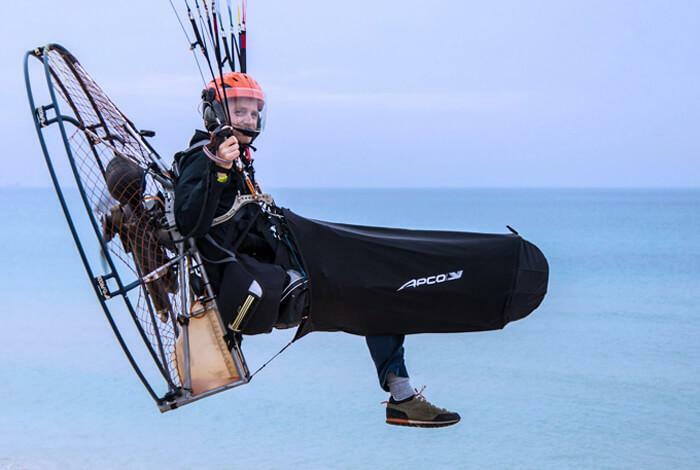 The pod has a upper zip opening, and a lower opening for the feet that is similar to a paragliding pod harness, except that it is on the underside of the pod. To pod the harness on with the Pod fitted, one steps into the Pod from above, through the open zip, and then fit the harness as usual. Once checks are done, you can close the Zip, and attach the pod to the magnet so it is out of the way for launch. Question: I see one connection goes to the bottom part of the frame – but how then the pod is put on from above? The Pod is entered from above through the Zip opening, and the feet exit the pod through the lower opening. The lower opening stays closed and sealed as long as your legs are resting in the pod. Question: Does it require both hands or one hand to put on? After Take-off, the Pod is released from the Magnet with one hand, and then it is easy to enter the Pod just using your feet. Question: How it opens/closes from below and from above? Is it Velcro or just as is? 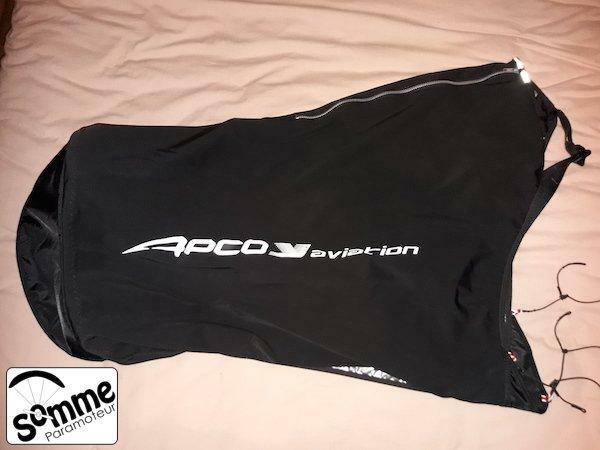 The Top is closed by Zip before Take-off. The bottom is sealed by a overlap of the fabric. There is NO “Velcro” used on the Pod. Question: Is it completely tight from below the legs? The Pod seal is wind proof and does not allow cold air to enter. Your legs are supported in a comfortable relaxed position by resting on the Foot Plate in the nose of the Pod. 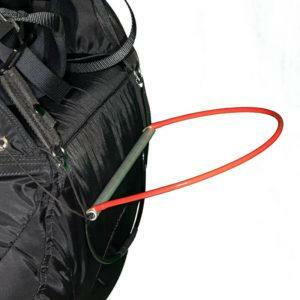 The Foot Plate is supported by adjustable webbing straps that are thread through the buckles looped onto the harness near the Hang-Point karabiners (Mentioned in the first point). It is more comfortable than you can imagine and does not require effort to hold your legs straight due to the support webbings. Question: How the accelerator is supposed to get into the pod, as it is attached normally to the front below the seat, but the pod is put on from above? The accelerator remains in its normal position, but is now inside the pod and will be easy or even easier than normal to access once in the pod. Your legs remain inside the Pod while using the Speedbar. use one leg to get the speedbar, while keeping the other resting on the footplate. The Pod works very well with our WonderBar. It is recommended to use stoppers to keep the speedbar high for takeoff (This is the same as normal when flying without the Pod). 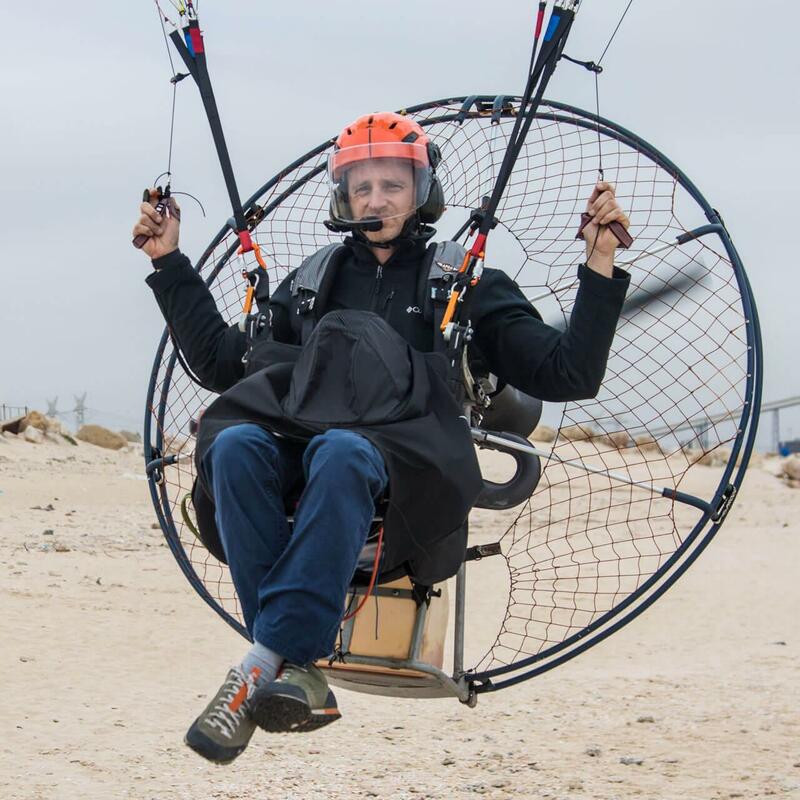 The Pod is “One Size Fits All”, which is adjustable to suit pilots from ~1.55m to over 2m in length (Again this is slightly dependent on specific equipment used. Question: What if anything do I need to do before landing? Simply lower one leg first through the slit in the underside of the pod, then follow with the second. 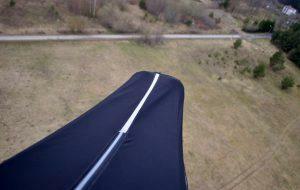 It is possible to land without raising the pod and attaching it to the magnet, but we strongly reccommend that you do. this should be done before you are on final approach, so that it is not done in a rush close to the ground. this is done easily with one hand. The comfort in fly is really good. The use is very simple and the settings are easy. 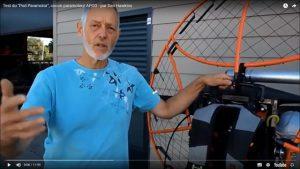 Yesterday I tried my new paramotor pod in flight. Please let us know about your experiense….